Before I start chatting away about how you can use your swimsuits all year round and not have them banished to the back of the drawer during winter, I’m gonna put out a bit of a personal disclaimer! 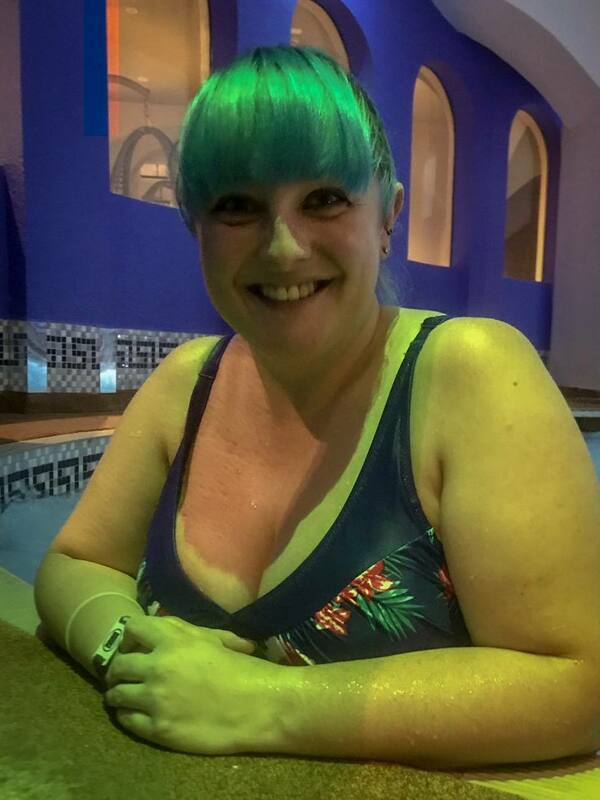 I never thought I’d see the day where I would post photos of me in my swimwear on my blog, it’s just not very me. Especially when I’m so not happy with how I’m currently looking. I’ve been doing Slimming World to get myself to a place that I’m happy with but I’ve not stuck to it as well as I should have with all the travelling I’ve been doing recently. I know people hate talk of weight loss but I’m always one to be open and honest online so I had to mention it! When I put these photos on my Instagram stories I was overwhelmed with the number of amazing responses I got so here goes, photos of me in a swimsuit on my blog! I’m usually the type of person that packs away my swimwear after our summer holiday and then drags it back out when the warmer weather returns, but I’ve been thinking! It’s such a shame to do such a thing when I always buy really nice swimwear! It deserves to get more wear than what I give it so I’ve found some great ways to make use of your swimwear during the days that greet us with drizzly mornings and cold winds. 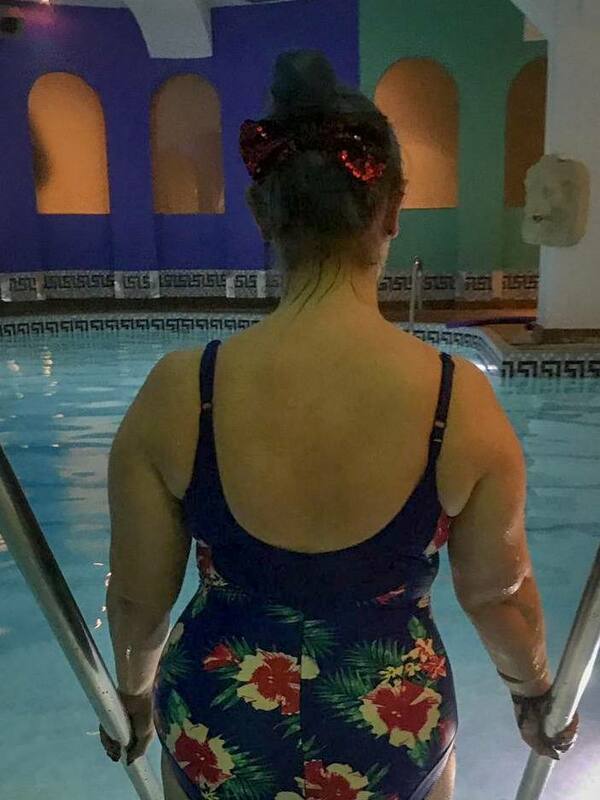 I’ve recently had three spa trips in just as many weeks which means I got to show off three of my swimsuits! My current favourite is the Pour Moi Blue Flowers Control Suit in Blue from Simply Beach that makes me feel a lot more confident than usual! It’s main aim is to shape your body and slim your silhouette to make you look and feel fantastic around the pool with its soft moulded cups, adjustable straps that were super handy for those on the shorter side of the height spectrum and plenty of tummy control. Simply Beach also have a great bikini range too! Of the spas I have been to recently I’ve tried a variety of options from a four-hour day session to a one night stay with use of facilities with bed and breakfast included and a two-night trip including treatments, all food, use of facilities and fitness classes. There are just so many options available depending on your available time and of course, your budget. My local gym has pretty impressive indoor and outdoor pools meaning you can use them all year round as they offer both. Of course, in the winter I won’t be laying around the outdoor pool topping up my tan but I will be making use of the indoor poor to add a little variety to my workouts. Some gyms even have saunas, steam rooms and hot tubs so you can treat yourself after your workout too! If you’re not into the gym and prefer just to swim then joining a swim club could be a really great idea! I’ve always toyed with running in the summer and swimming in the winter as they are both such good full body workouts. I used to love swimming when I was younger too but it’s something I’ve really got out of the habit of doing and have gotten pretty bad at it! If having lessons isn’t for you then many sports centres will just do memberships for their swimming pools you don’t have to pay for all of their other facilities if you won’t be using them! New Look Spring Summer 2014 Launch. "Where are the Best Restaurants to Eat in Shoreditch, London?"